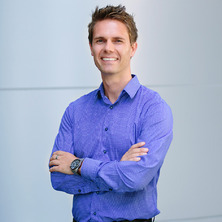 Dr Markus Muttenthaler is a medicinal chemist working at the interface of chemistry and biology with a strong passion for translational research. His research focus is on neuropeptides and the exploration of nature's diversity (i.e. venom peptides) to develop molecular tools, diagnostics and therapeutics. His background in drug discovery, design and development, as well as his interdisciplinary training in the fields of chemistry, molecular biology and pharmacology assist him in the characterisation of these highly potent and selective compounds and allow him to study their interactions with human physiology for medical innovations neuropathic pain, cancer, autism, gastrointestinal disorders and neurodegenerative diseases. Peptides are key mediators in many biological functions and understanding of their interaction with target proteins is fundamental to unravel the underlying mechanism of diseases. Over the years, an increasing number of bioactive peptides from animals, plants, and bacteria have been characterised, with the overwhelming realisation that these molecules often show better therapeutic performance than their human counterparts, particularly in terms of in vivo stability. The main research efforts situated in this field of Chemical Biology focus on the exploration and translation of these vast and untapped natural libraries towards the development of useful research tools and therapeutics. Solid-phase peptide synthesis, the main tool to access these compounds, is a powerful technology for the assembly and chemical modification of these highly chiral and structurally complex peptides. This complexity is also responsible for their remarkable selectivity and potency as well as for their low side effect profile observed in the clinic. Please contact Dr Muttenthaler directly for further details. Muttenthaler, M. and Alewood, P. F. (2009). Selenocystine peptides - synthesis, folding and applications. In Johannes Buchner (Ed. ), Oxidative folding of peptides and proteins (pp. 396-418) Cambridge , U.K.: Royal Society of Chemistry. Muttenthaler, Markus, Dutertre, Sebastien, Wingerd, Joshua S., Aini, John W., Walton, Hugh, Alewood, Paul F. and Lewis, Richard J. (2012) Abundance and diversity of Conus species (Gastropoda: Conidae) at the northern tip of New Ireland province of Papua New Guinea. Nautilus, 126 2: 47-56. Arrowsmith, Sarah, Taylor, Olayisade, Muttenthaler, Markus and Wray, Susan (2016). Expression and function of vasopressin receptor subtypes in human myometrium: implications for effective tocolysis. In: Acta Physiologica. , , (21-22). .
Muttenthaler, Markus, Andersson, Asa, Ragnarsson, Lotten, Vetter, Irina, Busnelli, Marta, Chini, Bice, Arrowsmith, Sarah, Wray, Susan, de Araujo, Aline Dantas, Dutertre, Sebastien, Mobli, Mehdi, Lewis, Richard J., Gruber, Christian W. and Alewood, Paul F. (2016). Miklos Bodanszky Award Lecture Probing the Functional Complexity of Ancient Oxytocin in Health and Disease. In: Journal of Peptide Science. 34th European Peptide Symposium , Leipzig, Germany, (S7-S8). 4‐9 September 2016. Busnelli, M., Leonzino, M., Silva, B., Dona, E., Manning, M., Muttenthaler, M. and Chini, B. (2015). New pharmacological tools to investigate oxytocin receptors in neurodevelopmental brain disorders. In: Journal of Neurochemistry. 25th Biennial Meeting of the International-Society-for-Neurochemistry Jointly with the 13th Meeting of the Asian-Pacific-Society-for-Neurochemistry in Conjunction with the 35th Meeting of the Australasian-Neuroscience-Society, Cairns Australia, (168-168). Aug 23-27, 2015. Re-Examining the Importance of Vasopressin Receptors in Myometrial Contraction. Arrowsmith, Sarah, Wray, Susan and Muttenthaler, Markus (2015). Re-Examining the Importance of Vasopressin Receptors in Myometrial Contraction.. In: Reproductive Sciences. , , (332A-332A). .
Conotoxins - blueprints for GPCR drug discovery? Muttenthaler, M., Gruber, C. W., Andersson, A., Vetter, I., Nevin, S. T., Grishin, A. A., Dutertre, S., Daly, N. L., Craik, D. J., Adams, D. J., Lewis, R. J. and Alewood, P. F. (2011). Conotoxins - blueprints for GPCR drug discovery?. In: 22nd American Peptide Symposium, San Diego, CA, United States, (422-422). 25-30 June 2011. Intranasal Oxytocin - does it reach the central nervous system ? Project for interns or summer student.